I have been driving past this beautiful piece of street art in Los Angeles for a few weeks now, and I can’t get over how much I love it. So I finally snapped a shot of it and wanted to share it with you. If you’re feeling down about love, depressed about your living situation, defeated about your career, insecure about your passion, poor in your finances, losing hope, or worried in some way that what you want most in your life is not going to happen, you have one person who will always be there for you: you. Don’t let yourself down and don’t give up on yourself. 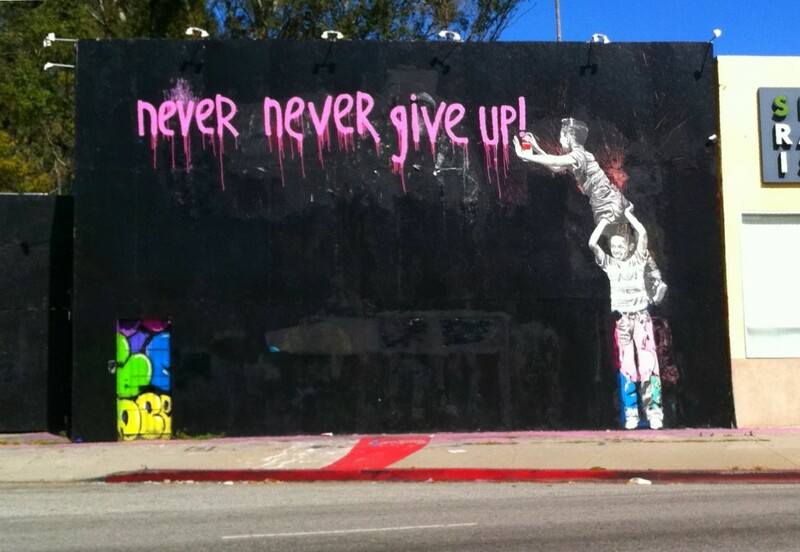 Never, never give up. This entry was posted on Friday, August 12th, 2011 at 8:30 pm	and is filed under In the big wild world.